Our Trelawny Dental Team will not only meet, but exceed your expectations. We are always more than willing to answer all of your questions and concerns. In addition, our team is highly skilled and committed to education and excellence in dentistry. Subir is a Registered Dental Hygienist, graduated from Toronto College of Dental Hygiene and Auxiliary’s in 2006. He is recognized for his ability to help patients understand their oral health care needs. 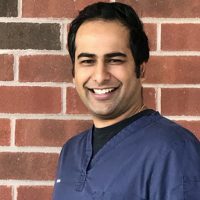 Enthusiastic, positive, and focused, Subir does his best not only to meet, but go beyond your expectations in dental care. Individuals are pleased by his gentleness and thorough nature. In his spare time, Subir enjoys biking and playing the guitar. He is an excellent member of our team! Naomi graduated from the Canadian College of Dental Health and is an essential member of our dental team. She is extremely friendly and self-motivated when it comes to learning about new technology and procedures. Her optimism and warm smile make patients feel comfortable at each visit. Naomi is always ready to listen and more than willing to accommodate your needs and interests. She also has a keen interest in orthodontics and esthetics. Patients rave about her gentle nature and exceptional hand skills! In her spare time Naomi practices yoga and enjoys snowboarding. 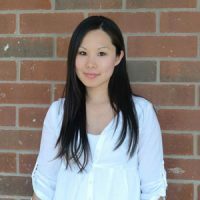 Born and raised in Mississauga, Ontario, Kerry brings over 18 years of expertise and knowledge in dental administration. Kerry is an invaluable member of our team, and will go the extra mile to ensure that your needs are met efficiently and effectively. Patients admire her ability to explain their dental needs in a fashion that is informative and concise. Kerry will also handle all of your dental insurance matters, so that you don’t have to. Her friendly smile and warm personality are admired by every patient who meets her. Kerry loves to spend her spare time with her son. She also loves reading, watching YouTube makeup tutorials and going up north to spend time at the cottage. Poonam graduated from Everest College’s level 1 and level 2 Dental Assisting program with Honours. She brings over 8 years of experience as a dental assistant.Poonam makes everyone comfortable and at ease at each and every visit. She is a tremendous asset to our team. Her gentle and caring nature is evident from the first time you meet her. She is always willing to help you understand your dental needs, and is extremely knowledgeable in all aspects of dentistry. Poonam is also fluent in Hindi and Punjabi. 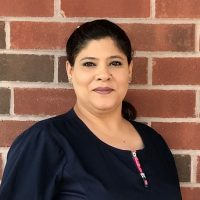 Her friendly demeanour will put you at ease so that your visit is enjoyable.In her spare time, Poonam enjoys spending time with her husband and two daughters. She loves long drives and travelling, and is an excellent cook. Kelly has 24 years of knowledge and experience in the dental field. 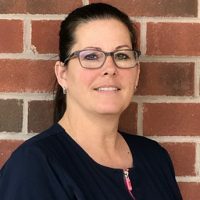 She graduated from the Toronto School of Business with Honours, and completed the Level 2 Dental assisting course at the University of Western Ontario.Kelly is an imperative member of our dental team. She fully understands and will deal directly with your insurance information. This makes your visit easy and hassle free. Kelly takes the time and effort to explain your dental needs to you in a manner that is not only informative, but also comprehensible. She always ensures that your visit comfortable and pleasant for you. 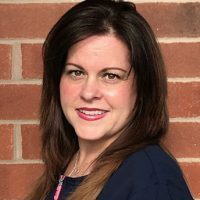 Patients adore her vibrant nature and approachability.Kelly loves spending her free time with her two children and her husband. They especially enjoy spending time at their beautiful cottage during the summer months.